In every major city, there will be light up events, festivals, temples and shrines that are all open for anyone to attend. 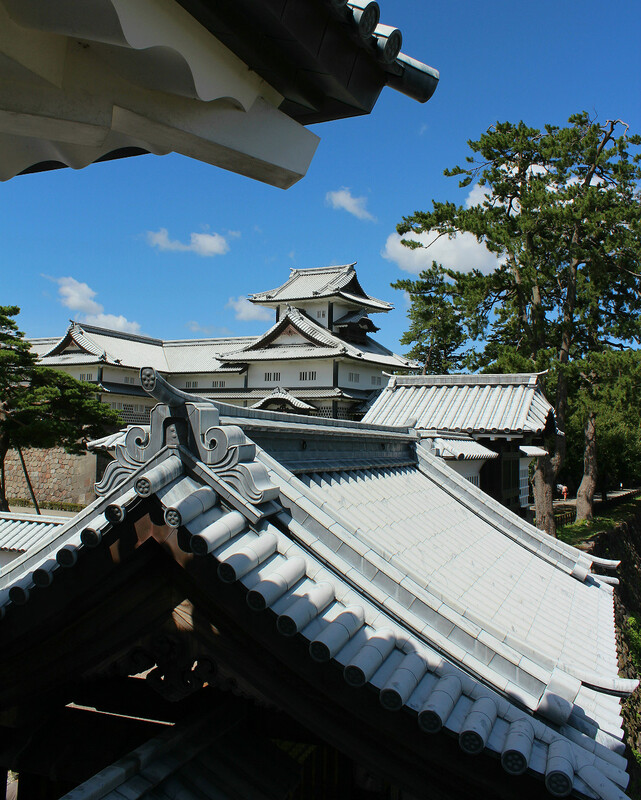 Kanazawa has all those and more, with plenty to occupy the backpacker on a budget. 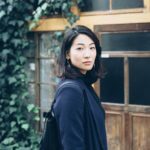 Ryann and I put our heads together to come up with our picks for the top 18 free ways to enjoy Kanazawa! 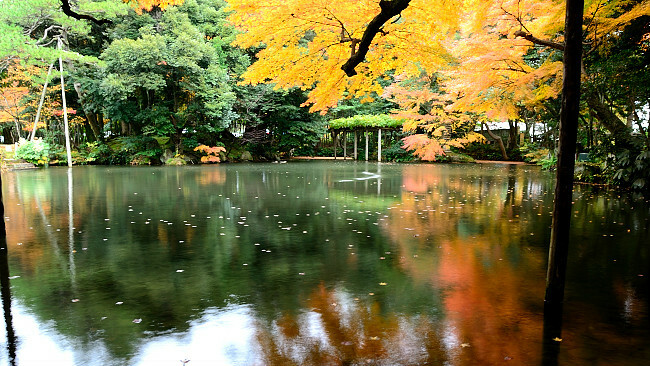 Picturesque and spacious, Kanazawa Castle Park marks the center of this castle town of samurai culture. Make a point to check out Kahoku-mon Gate and the area around Tsuru-no-Maru for details about the castle’s construction and fortifications in wartime. There’s a walkway through the forest area on the southern side that stays cool even on the hottest summer days. The view from the end of that path is awesome! The park is the happening place for festivals and big events. If you’re in time for the cherry blossom season, this is a prime spot! And if you’re very lucky, you might see tadpoles in the park’s preserved natural ponds. 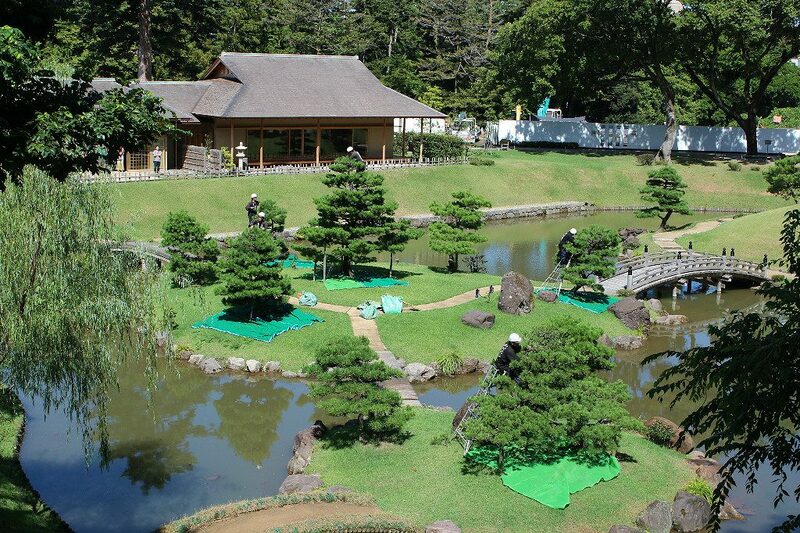 On the castle park’s west side not far from Oyama Shrine is the Gyokusen’inmaru Royal Garden. One of the last great additions to the castle during its heyday, this garden was built for the local royal family. Only recently has it been fully restored for all to enjoy. The strolling garden is very Japanese in style. Each tree is deliberately placed to be both spacious and natural in appearance. 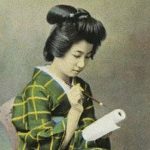 At Kanazawa Castle’s information booth and at Gyokusen’inmaru’s rest house are volunteers of the Kanazawa Goodwill Guide Network, local volunteers who will answer all your questions about the castle and garden as best as they are able. Guides at the castle park are available for up to 30 minutes for a stroll around half the park area. Gyokusen’inmaru guides are stationary. 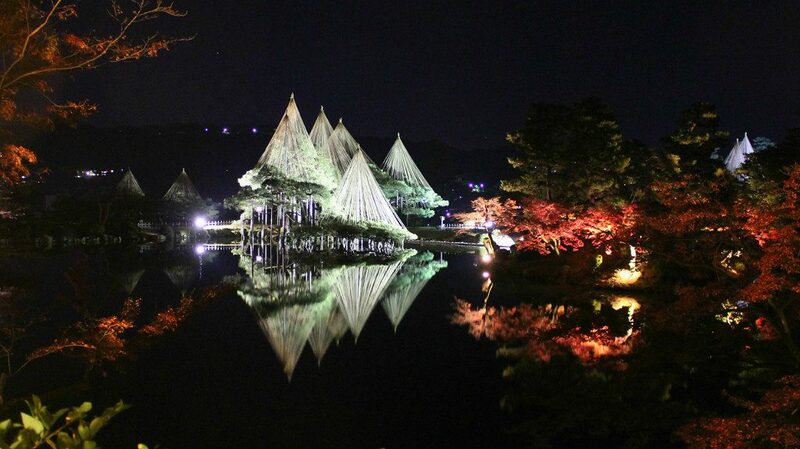 During select weeks throughout the year, Kenroku-en Garden comes aglow after dark in lights and lanterns. 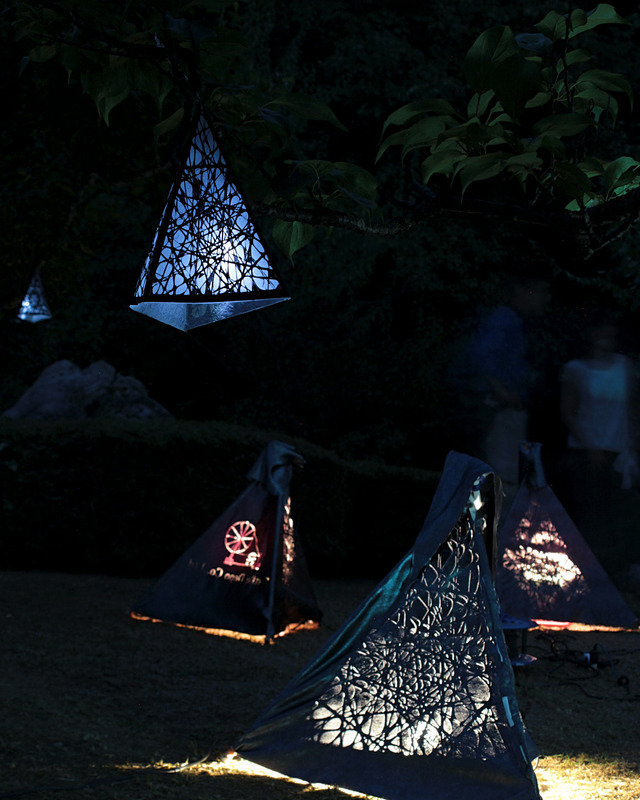 Rocks, plants, and rolling waters are illuminated in new ways, becoming a haven for evening romantics and shutterbugs. Ticket booths close at sunset, and the gates remain open for nightly visitors until 8:45 p.m. 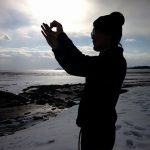 The exact dates change each year for the weather, but typically include a February snowscape, the cherry blossom peak around late March or early April, Golden Week at the end of April and beginning of May, and the autumn color peak in November. The garden is also free during the day for the Hyakumangoku Festival during the first weekend in June, Obon in August, and Culture Day in early November. A full 17 of Kanazawa’s museums and cultural facilities participate in Kanazawa Night Museum for two seasons during the year. The facilities close later than usual, as late as 8:00 p.m., allowing visitors to linger longer and enjoy the sites at a more relaxed pace. Additionally, many offer free events and activities during these bonus hours. Some nights and locations feature performances and lectures for additional fees. Check each event and location for details. Note that most, if not all, of these events will be in Japanese. 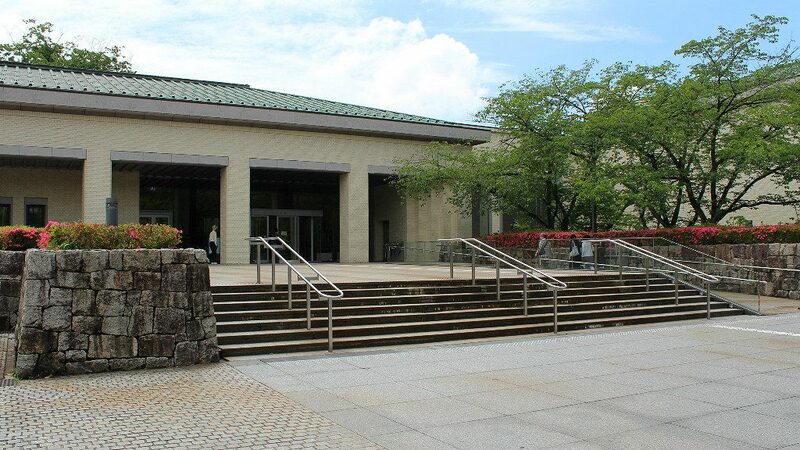 Should it not be closed for an exhibition change, the Ishikawa Prefectural Museum of Art offers its core antiques exhibition for free on the first Monday of the month. Ceramics, lacquerware, and metalworks of the Kanazawa’s Edo-era lords are displayed, along with the prefecture’s featured National Treasure, a pair of finely painted ceramic pheasant incense burners. Around the backside of the museum are pathways leading right to the Hirosaka Annex (7, below) of the museum, left to the Hands on Interaction Hall of the history museum (8) and across from the Noh Theatre (9) or down to the D.T. Suzuki Museum (10) and Shofukaku Garden (11). Neighboring the main building of the Ishikawa Prefectural Museum of Art, the Hirosaka Annex in the Honda Forest has an extensive history. 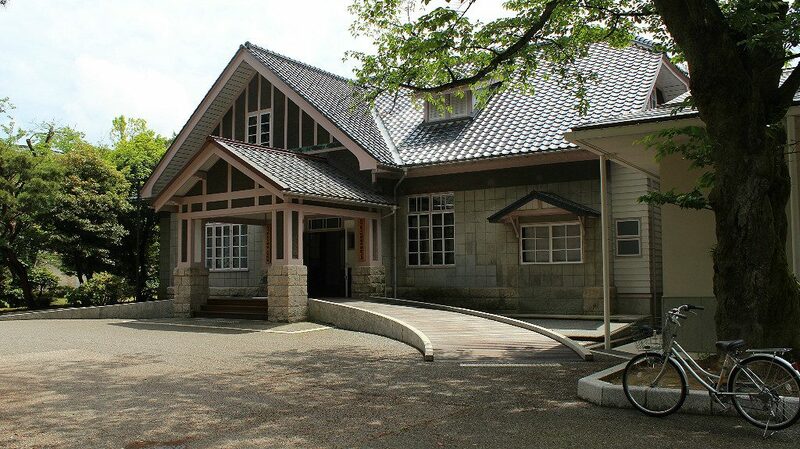 Originally built in 1922, this building has served as a military office, Kanazawa’s family courthouse, a children’s hall, a wild bird garden and a rest building. Several of the rooms are available for free use or rent, but the draw of the annex is the work that goes on in its back rooms. 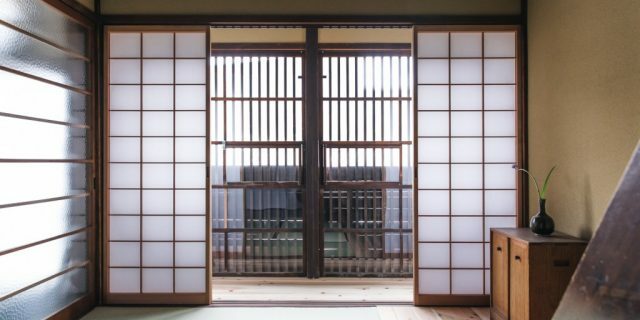 Depending on the current demand and schedule, workers can be seen making restorations to relics and ancient documents excavated from the grounds of Kanazawa Castle and throughout the area. 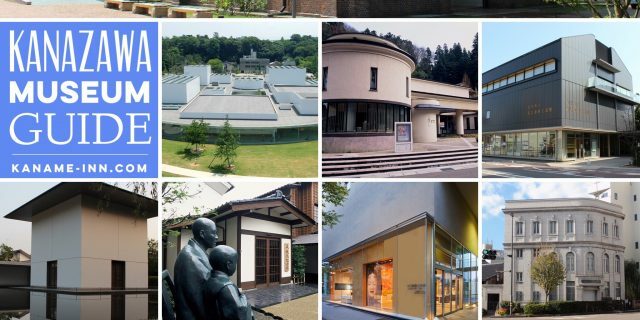 Look for the Ishikawa Prefectural Museum of History and you’ll come across three connected red brick buildings. 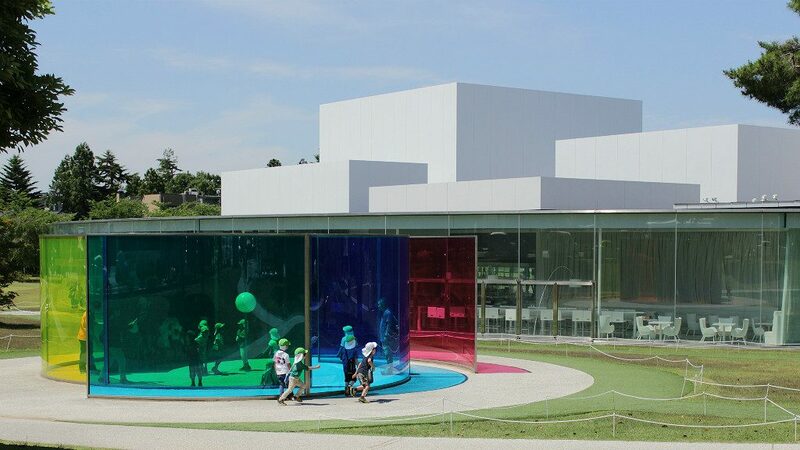 The middle is the Hands-on Interaction Hall, a library and activity space completely free to enter and enjoy. This spot is ideal for families with children for the funky photo booth on the bottom floor and the culture activity room on the second. 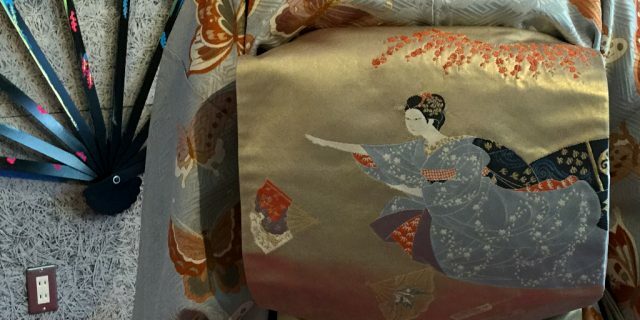 Little ones can try on costumes, pose for pictures, explore the spaces of a traditional Japanese home and school, and play with traditional toys. Come to the theatre during office hours, and—as long as no rehearsal is happening—get a free tour and lecture of the backstage and hall. This service is available without reservations, but to secure an English experience, call ahead to check when an English-speaker will be available, or bring a translating friend. Designed to invoke Zen inside and out, the D.T. 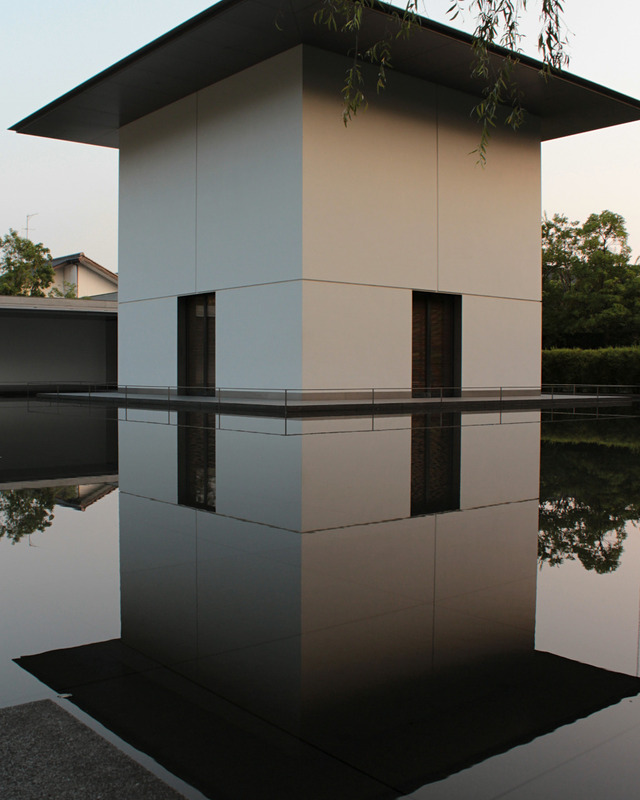 Suzuki Museum is an architectural marvel as well as memorial dedicated to the man who near single-handedly brought Zen philosophy to the west. The Water-Mirror Garden, part of the museum’s “Contemplative Space,” is open to the exterior, allowing passersby to rest and meditate. Every few minutes at odd intervals, the stillness of the water is disturbed as an underwater fountain sets ripples running across the water’s surface. The reflection of each season’s sky illuminates the surface, as does the stark white and red stone of the far wall contrasted with the surrounding nature of the Honda Forest. Behind that stone wall, wanderers can find a smaller fountain sculpture incorporating the Zen symbols of the circle, square, and triangle together. Nearby, a gate, if open, leads to the quiet Shofukaku Garden (11). After enjoying the Water-Mirror Garden at the D.T. Suzuku Museum, check the gate to Shofukaku Garden. On fine days in spring, summer, and autumn, the gate is open to visitors who are free to wander the small pond garden. Nearby, the Japanese storehouse-turned-pottery-house Hokutoh—the same that hosts the summer’s earthenware beach-side baking event, Noyaki—displays handmade art works in their front gallery. Many believe Shofukaku to be an echo of Kenroku-en, with the former only 1/50th the size of the latter. After all, they both feature a “floating island” in the middle of a small lake. 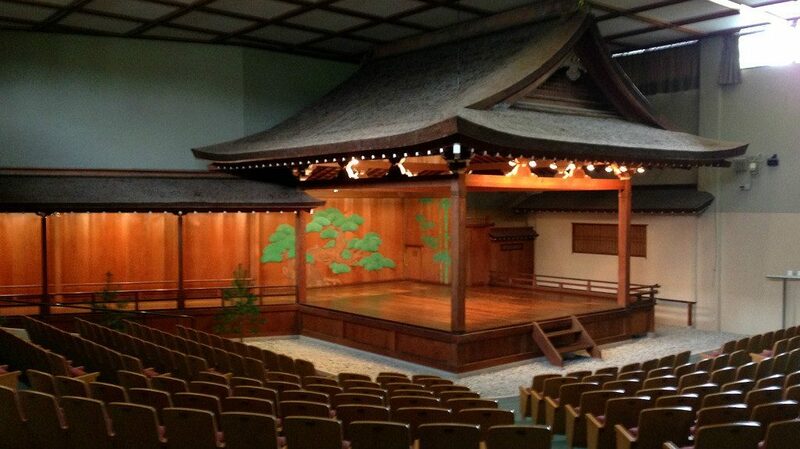 But records show Shofukaku Garden is older than Kenroku-en. It’s likely that Kenroku-en took some inspiration from Shofukaku, along with the garden at Oyama Shrine. Shofukaku makes full use of light and shadow in form and function. Shady areas are rich with moss. Stay on the stepping stones so as not to disturb. The round design of the 21st Century Museum of Contemporary Art allows entry from any side. The building also evokes the spaciousness and welcoming atmosphere of a public park. Inside, free sections are used for local art exhibitions. 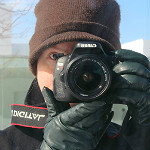 Outside, feel free to wander through or play on the permanent interactive exhibitions. Of course, wandering any historic neighborhood is nice (and free!) 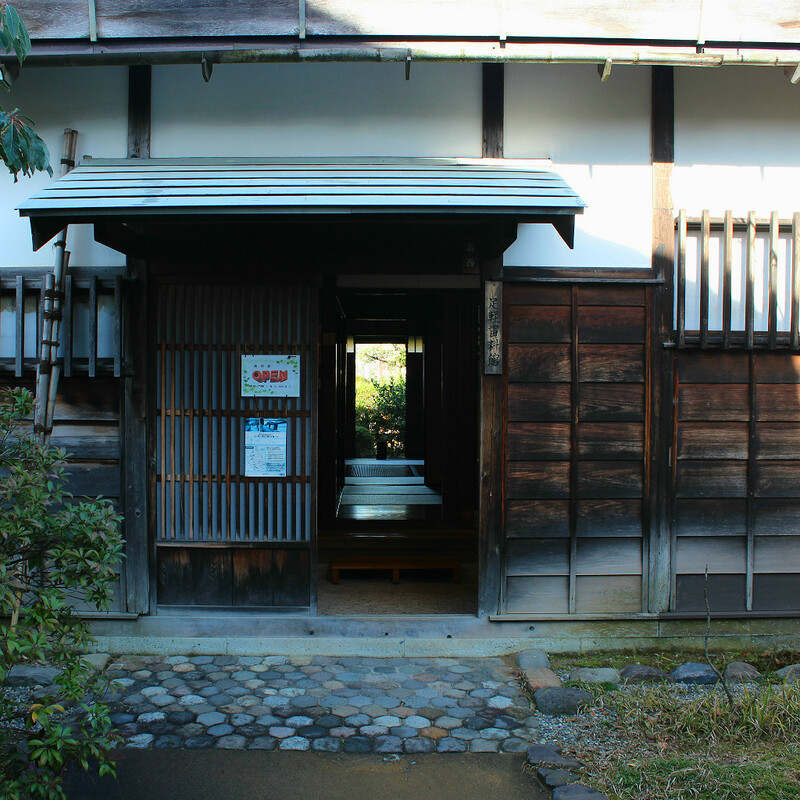 but Higashi Chaya has certain special shops and buildings worth a visit that cost nothing to enter! Kanazawa produces about 99% of all of Japan’s gold leaf, which you’ll no doubt see on Buddhist shrines or eat on ice cream. How can you not come to Kanazawa and find some places to appreciate being surrounded in Gold Leaf? To the northwest of Higashi Chaya, not far from from the Gold Leaf Museum, is Gold Leaf Sakuda, a gold leaf shop specializing in hands-on workshops for gold leaf design. A visit to the shop grants a cup of hot tea with gold flake. The pieces for sale in the shop are beautiful on their own, but spend a penny in the upstairs loo for a sight at a gold-covered bathroom. In Higashi Chaya proper, Hakuza Hikarigura along the main street features jewelry and beauty-related gold leaf products. 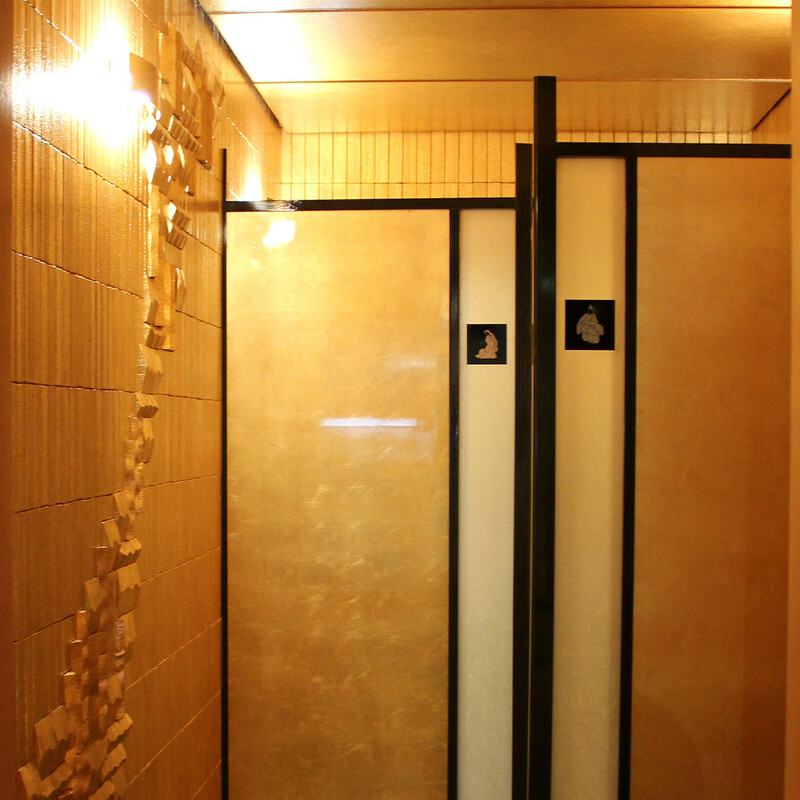 Near the back of the store is a garden and old Japanese storehouse whose interior is lined entirely with gold leaf. Just southwest of Higashi Chaya, still in the Higashi-yama neighborhood, is their sister store Hakuza Hikarizo and their 100-year-old warehouse redecorated with gold leaf. Pure gold platinum lines the outer wall, and the inner features a gradation of 24K gold leaf. 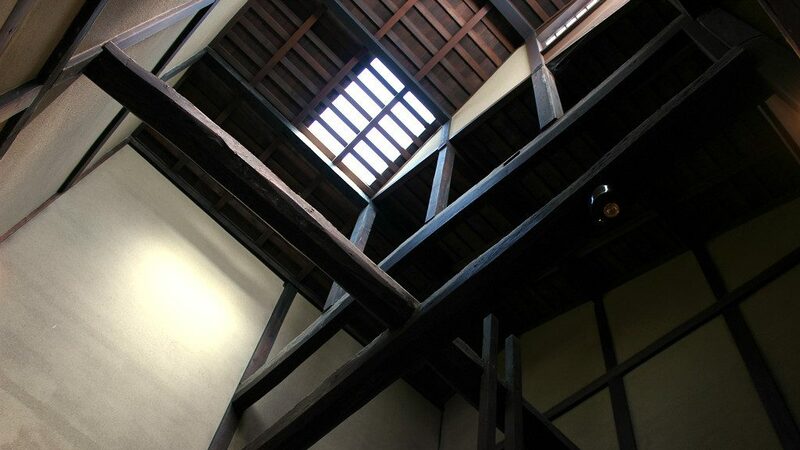 A beautiful old machiya, a traditional style of Japanese townhouse, turned into a rest house. 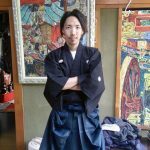 Whether an English speaker or guide is available is hit or miss, but the site itself is a nice place to stop and enjoy being in a machiya before exploring further into the district. Restrooms are also available, and feel free to pick up maps here as well. If you really enjoy machiya, check out #16 below, too! The view is also gorgeous in the evening and at night, as the city lights up. 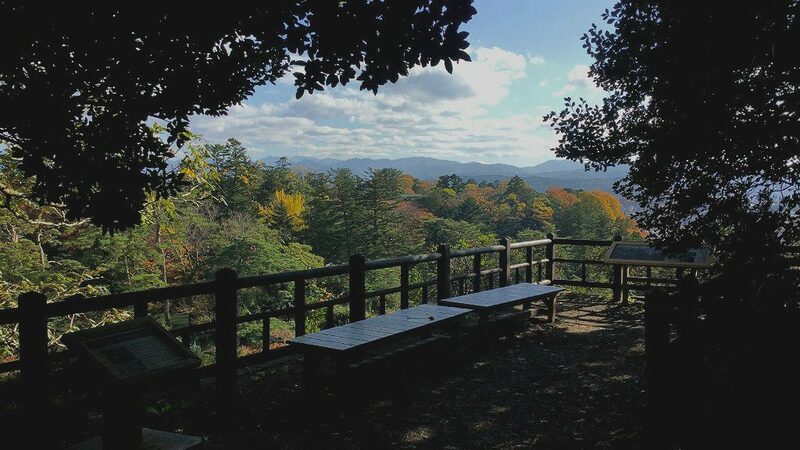 You might run into one of the local security guards outside Utasu Shrine who is particularly knowledgeable about the area and is happy to share a recommended spot with you! You should already find yourself wandering the Nagamachi Samurai Residence District if you’re in Kanazawa. 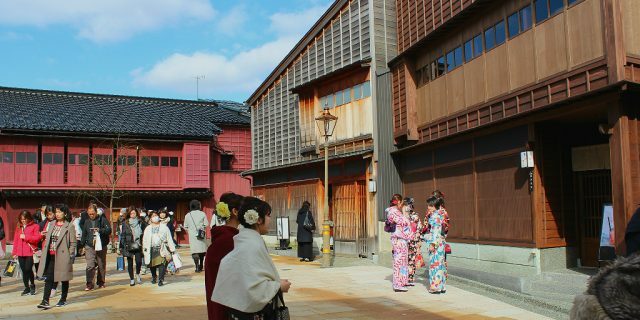 The fortified walls of this battle-ready neighborhood are some of the oldest in Kanazawa, and many of the homes are the same that stood in the Edo era. Walk a little farther north along the moat and you’ll run into the Ashigaru Museum, preserved houses of samurai foot soldiers. 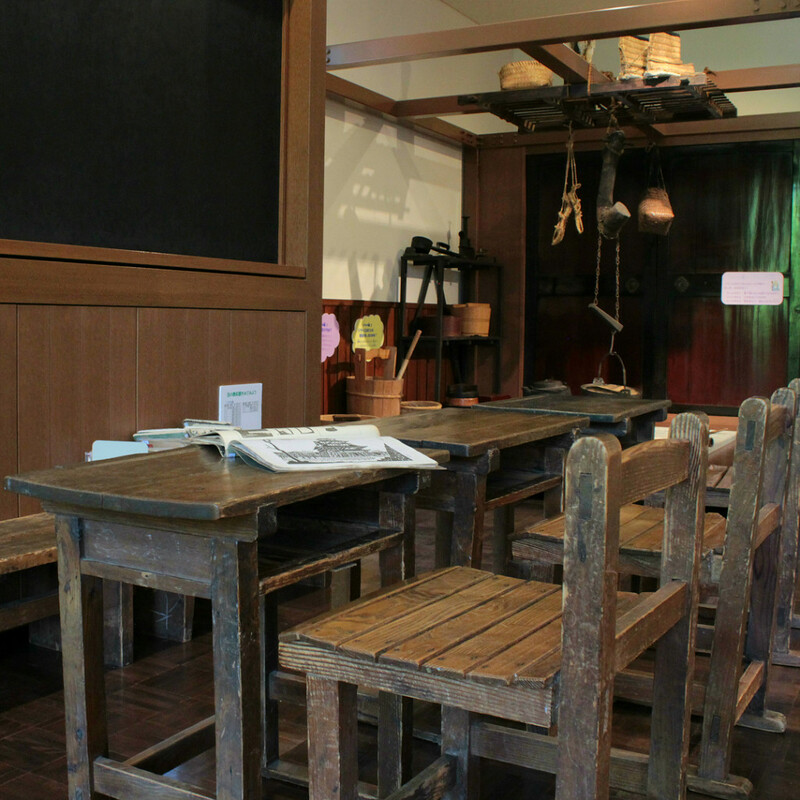 Poke around the homes of the lowest ranking samurai to see how they lived. And check out the information plaques for interesting facts, too. 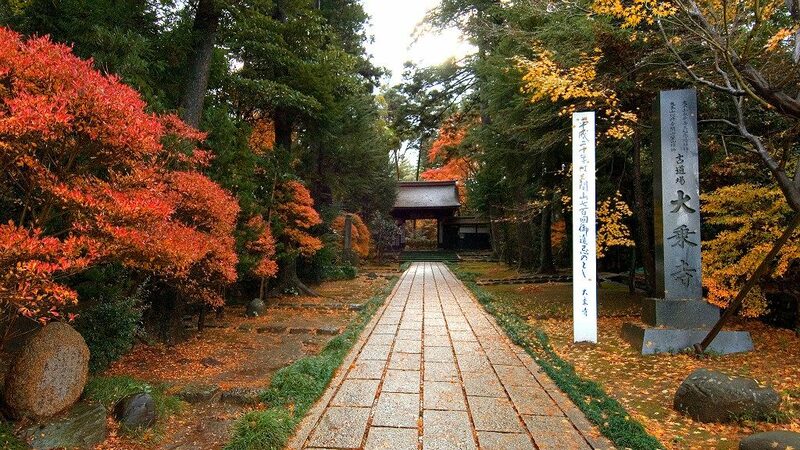 Thirty minutes by bus or bicycle, or forty-five minutes on foot is Daijo-ji, a Soto Zen temple on the outskirts of Kanazawa City. Every Sunday, beginner-level zazen meditation classes start at 1:30 p.m. Clear your mind of all thought and distraction for three 20-minute intervals, guided by a Zen monk of the same temple. Although instructions are in Japanese only, foreign visitors are welcomed. The lessons are free, but donations, which to toward helping the temple continue, are appreciated. 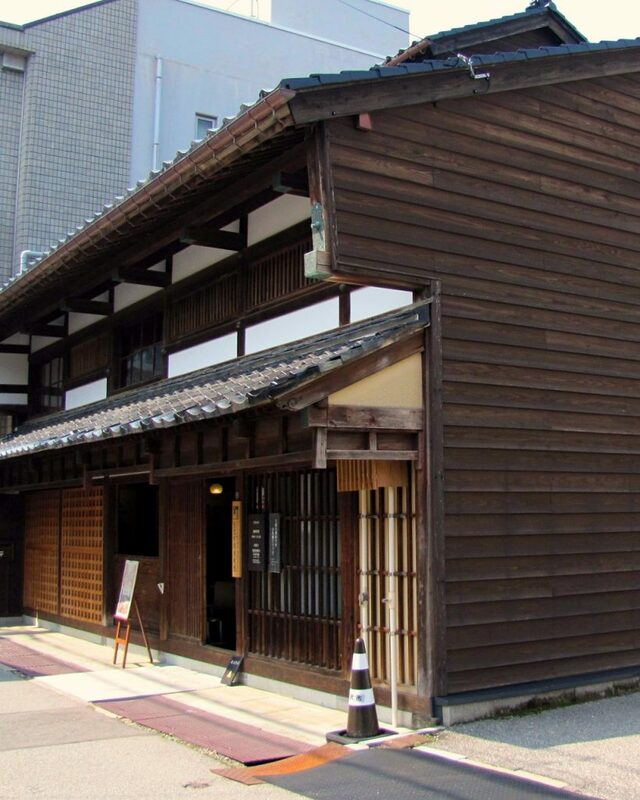 Head to the end of Tatemachi and slip into one of the back roads to find the Kanazawa Machiya Information Center, itself located in a machiya-style traditional Japanese townhouse. A step up from the Higashi Chaya Resthouse mentioned above, this building is fully open to explore. Little is available in English, but many of the explanations for how these old houses function have easy-to-understand charts. One of the more remarkable shows how, when certain windows are opened, air flows into the building and then upstairs, keeping the house cooler in hot, summer weather. 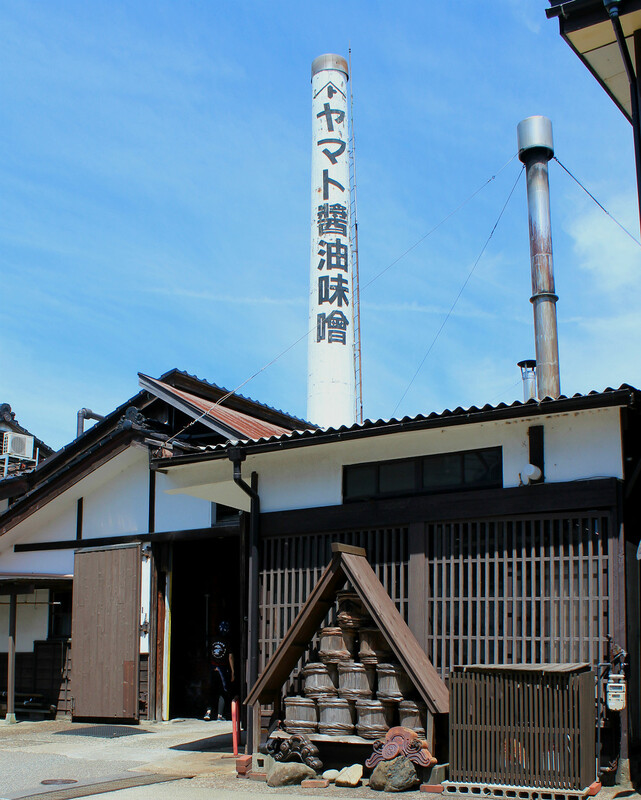 Fukumitsuya is the oldest sake brewery in Kanazawa and a short walk from the “Princess Temple,” Tentokuin. 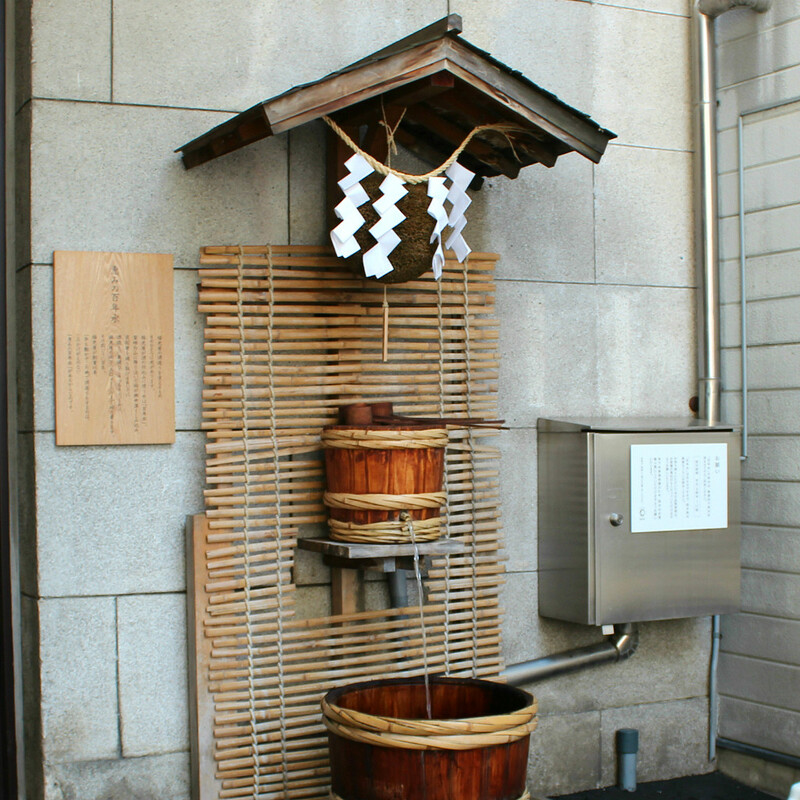 The water used for their sake has taken 100 years to travel from the peak of Mount Haku to reach Kanazawa where it’s used to steam rice. The “standard” 30 minute lecture and sake tasting is only available for six people at a time, so book it early!